There are cherry bombs and then there are cherry bombs! 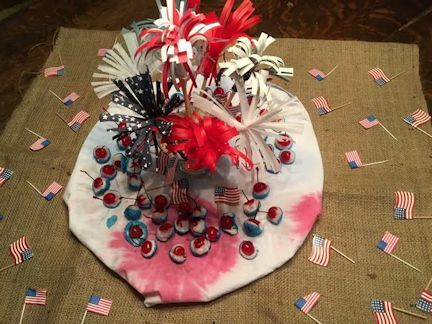 My friend, Terri, recently sent me a text saying Happy Fourth of July…Cherry Bombs! My mind went instantly to the 1970’s when my brother and our neighbor Dale would set off cherry bombs and other fireworks in our giant storm drain. It was a big tunnel that went under our back yard and had a grate near the house but emptied out later into the yard in an open ditch. Sounds not so lovely but it basically looked like a creek running through the back yard. Well, Steve and Dale loved fireworks. We traveled enough to different states where Steve could buy fireworks since they were outlawed in Georgia and the boys were constantly lighting the fireworks and throwing them down the grate for the loudest possible echoing explosion. 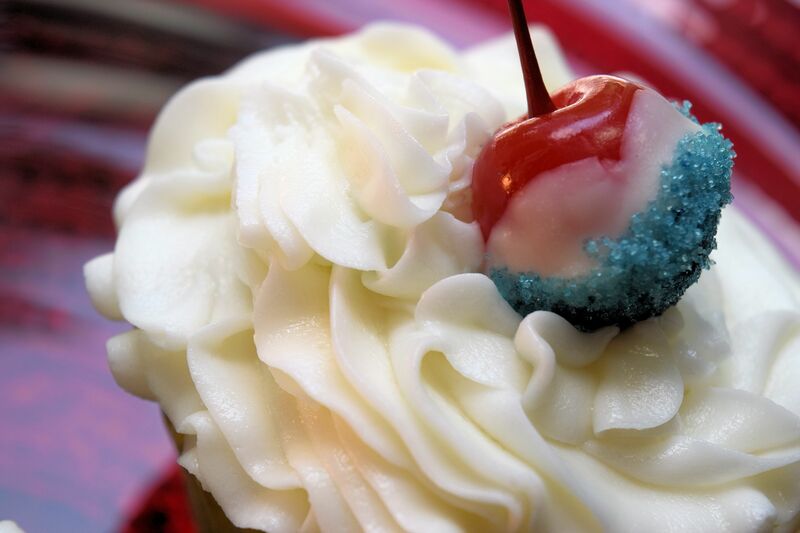 Frequently the police were called to our house since their little fun-time activity was illegal and the explosions sounded way louder than a simple cherry bomb or firecracker . The police finally seemed to get used to the calls and would simply drive by and tell them halfheartedly to stop. But they didn’t. 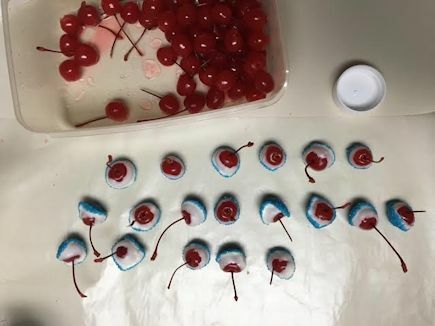 When Terri sent the text, I sent a return text with my trip down memory lane describing the cherry bomb action and she replied “Not that kind….I made these cherry bombs, I forgot to send the photo!” What she then sent was the cutest Fourth of July treat ever! I made some Terri Cherry Bombs and topped my cupcakes. 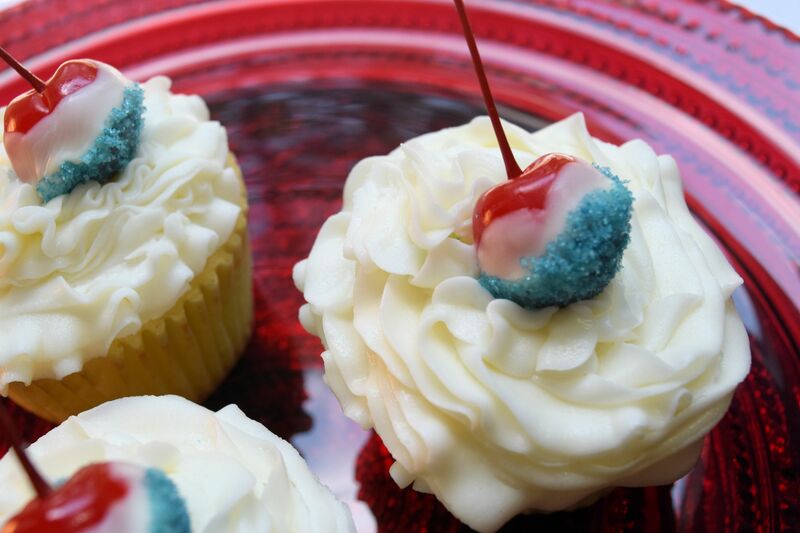 They have a taste similar to a chocolate covered cherry. But if you want to change the taste, a true Terri Cherry Bomb starts with infusing the cherries with vodka. Then, dry them off and proceed with dipping them in melted chocolate and then colored sugar. Here’s Terri’s version. She served hers with our crafts from last year. So pretty! Hope you are having a blast today – figuratively, of course. No fireworks down any grates for you. Only safe and colorful ones up in the night sky.